One of the greatest poets to ever grace the face of this earth, Maya Angelou, once said, "I long, as does every human being, to be at home wherever I find myself." Last November / December when my family traveled to Ethiopia, we were nearly 9,000 miles from home but we felt safe, sound and welcomed by the Ethiopia Guest Home. Our hosts, drivers, translators, housemates...they were all great! The motto of the Ethiopia Guest Home is "More Than A Place To Stay." This is so true! At the Ethiopia Guest Home you have opportunities to make friends and build relationships in a way that you would not be able to at any old hotel. Also, they amenities are fantastic, the food is catered to Americans and the service is top-notch. As I prepare to travel in a few weeks, I look forward to going back to the Ethiopia Guest Home (at 3 locations) because I know that I will be cared for. 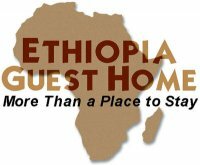 If you're ever in Ethiopia, if you plan to take a mission trip, if you plan to go and visit, if you're going for adoption purposes or any other reason and you need a place to stay, contact the Ethiopia Guest Home and make your reservations. One last thing, I know the owner of the Ethiopia Guest Home and I know personally just how big of a heart he has for the people of Ethiopia, as well as adoptive families. He has endured many, many struggles by keeping the Guest Home open and he has a dream to create 100 jobs for Ethiopians within the next year. The great thing about the Ethiopia Guest Home is that it sees itself as a mission and even more, as a place to be kingdom-servants that loves justice and seeks mercy. Please, if you have plans for Addis, contact the Ethiopia Guest Home and get booked. If you want, you can even tell them "Michael Halcomb told me!" To check out the Ethiopia Guest Home website, click HERE.